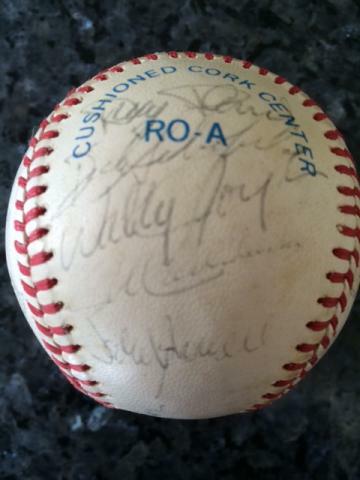 Here's a special piece of California Angels team history that every Angels fan would love to have for their own collection. 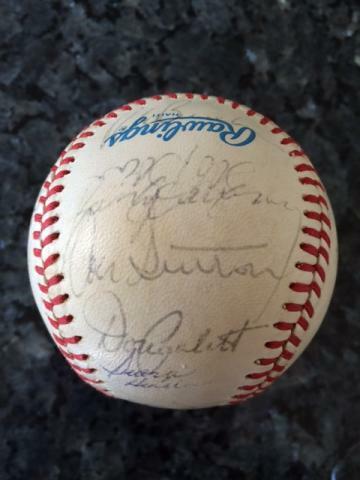 This baseball is signed by 24 members of the 1986 California Angels. 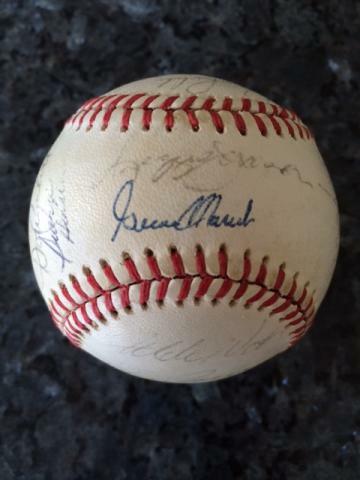 The ball and all the signatures are certified authentic and comes with a Letter of Authenticity from James Spence Authentication. 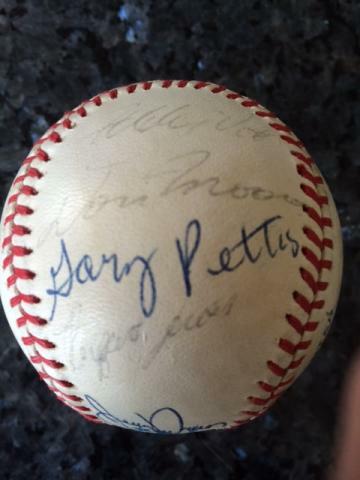 This ball has the names of a number of great players and would make a fine addition to your memorabilia collection. 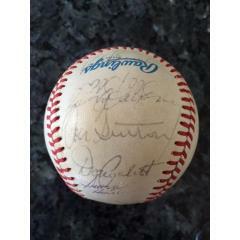 This ball is signed by Reggie Jackson (Hall of Famer), who on May 4, 1986 hit the 537th home run of his career off Boston Red Sox pitcher Roger Clemens, passing Mickey Mantle on the All-Time Home Run list. 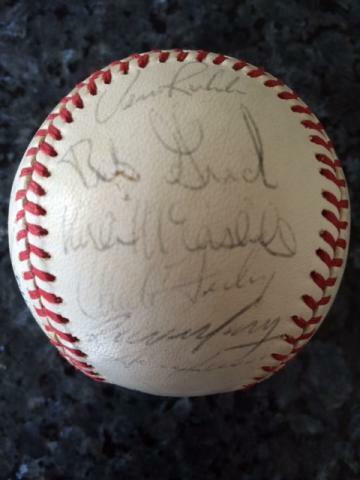 Other players who signed the ball include: Don Sutton (Hall of Famer), Manager Gene Mauch, Mike Witt, Donnie Moore, Chuck Finley, Bobby Grich, Wally Joyner, Brian Downing, Bob Boone, Rick Burleson, Doug DeCinces, Vern Ruhle, Kirk McCaskill, Doug Corbett, Jack Howell, Gary Pettis, Ruppert Jones, Jerry Narron, Bob Boone, George Hendrick, and others. Due to the unique nature of this ball we must charge your credit card for the full price immediately upon taking your order. This policy ensures we reserve the ball for you. We will confirm your order by e-mail. 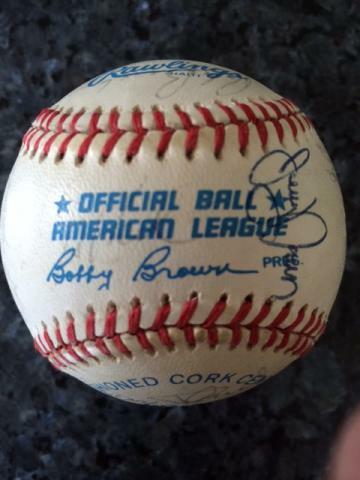 This ball is not game used please allow at least 2 weeks for delivery.